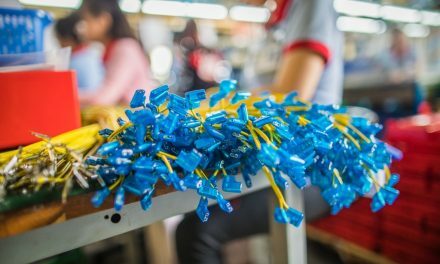 As the market demand for new technology products is increasing at an unprecedented rate, electronics manufacturers are increasingly relying on digitalization and varying degrees of automation to address the challenges of complexity, customization, compliance, globalization, and customer expectations for near-perfect quality. 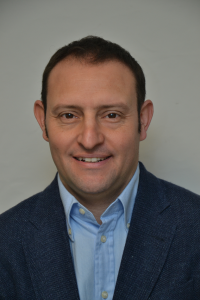 “Smart” manufacturing employing computer control and high levels of adaptability takes advantage of powerful information and manufacturing technologies that enable a new level of flexibility in managing physical processes to meet the demands of a dynamic and global market. The foundation of smart manufacturing is an integrated, networked platform that unites all of the domains required to engineer, manufacture, and deliver today’s electro-mechanical products. Creating a smart factory begins with a development strategy for digitalizing data that encompasses the entire process, from PCB design and factory floor optimization to incorporating customer feedback in new designs. A digitalization strategy allows manufacturers to build, track, and analyze digital twins of their products, production, and performance, creating detailed and accurate replicas that help accelerate the development, manufacturing, delivery, and service of the real-world counterparts. These digital twins and the people involved in designing, building, testing, and maintaining them are connected through a digital thread of information that they all share. The availability of actual manufacturing and in-service data makes it possible to continually refine their accuracy and fidelity. Smart manufacturing via digitalization supports better planning and faster validation of production alternatives and increases the effectiveness and performance of manufacturing operations. Electronics companies are investing heavily: 9 out of 10 companies are investing in digital factories, according to the PwC consultancy. Deloitte notes that sharp price declines in digital technologies make it possible to invest less and still reap benefits on a wider scale. According to industry and technology research firm Gartner, digitalization success depends less on having the most advanced technologies and more on having the right operating systems. Business skills, incentives, and operating models are 15 times more likely to contribute to the success of digitalization than changes in technologies. Eighty percent of companies have digitalization initiatives underway, with 69 percent indicating that they need to become digital, Gartner reported from the 2017 survey. A successful transition to becoming a digital factory relies not only on the technology but also on the level of acceptance, training, and people involved. Many electronics manufacturers have digitalized their operations in a piecemeal fashion over time. Their digital landscapes have expanded as the technologies and their business cases have evolved, and manufacturers have applied solutions for a range of individual functions. These include integrated planning and management for PCB assembly and test, production ramp-up, and optimization with virtual design and process verification, part and mold manufacturing, supplier collaboration and manufacturing execution, among others. This fragmented approach has resulted in multiple disconnected systems and information silos that prevent digitalization from delivering on its promise. For digitalization to provide maximum benefit, integrated smart manufacturing solutions are needed that break down silos rather than creating them. Such solutions use product lifecycle management (PLM) technologies to link design verification, manufacturing planning and process engineering, allied with electronics-specific manufacturing execution systems (MES) that unite production scheduling, production execution, and manufacturing analytics. An integrated solution that spans the entire development and manufacturing lifecycle can establish the digital thread of information that supports collaboration and horizontal integration across the manufacturing enterprise. 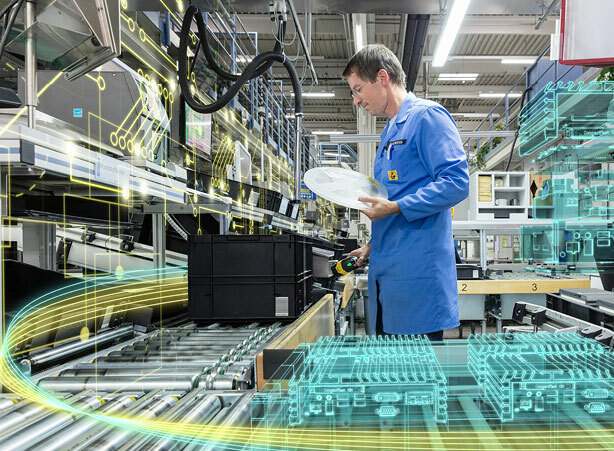 As a major industrial electronics manufacturer and the world’s leading supplier of programmable logic controllers (PLCs), we at Siemens have fully embraced the smart manufacturing approach, with quantifiable shop-floor and business benefits. The Siemens Amberg Electronics Plant (German abbreviation: EWA) is the company’s showcase plant for smart manufacturing systems. EWA manufactures 12 million PLCs per year, or one control unit every second. The plant’s real and virtual manufacturing worlds are completely integrated. Product codes communicate requirements to production machines and dictate sequences of production steps. Products and machines determine the selection of items and production lines needed to meet delivery deadlines. Independently operating software agents monitor each step to confirm compliance with regulations. These practices rapidly turn innovative ideas into products. By using digital prototypes and the ability to simulate and optimize production processes in software, the time it takes for EWA to introduce new products is reduced by 50%. Changeover time is half as long. New order lead-time is 24 hours, with the ability to handle 1,000 product variants and a lot size of one. Production quality at EWA is 99.99885%, and a series of test stations detect the few defects that do occur. This digital enterprise has seen cost savings as much as 25%. The new digital landscape enables a seamless flow of product and production data from PLM to manufacturing execution. A key component of the solution is a leading-edge MES developed specifically for electronics manufacturing. The MES supports process preparation for both PCBs and mechanical components, as well as scheduling, materials management and manufacturing analytics. Through a PLM pipeline, the MES is directly connected to all product design data, electrical and mechanical, and extends the digital thread to the ERP system.